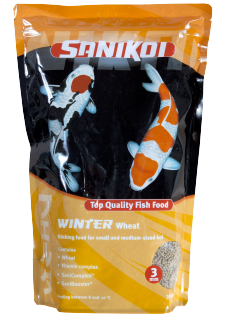 SaniKoi Winter Wheat is a top quality food for Japanese koi and different valuable cypriniformes. It is a sinking food that may help to promote the natural resistance of fish to diseases. Its main ingredients are fish products, vegetable proteins, fats, and carbohydrates, supplemented with wheat. Special attention has been paid to the added trace elements and vitamin complex, including stabilised vitamin C. Fish are cold-blooded animals. This means that the temperature of their bodies adapts to the ambient water. Below 12 °C their activities will decrease considerably and the need of energy along with it. Also the absorption of feed will reduce. However, in order to be able to get through the long winter in good health and condition, additional feeding of fish will be desirable also in this period. 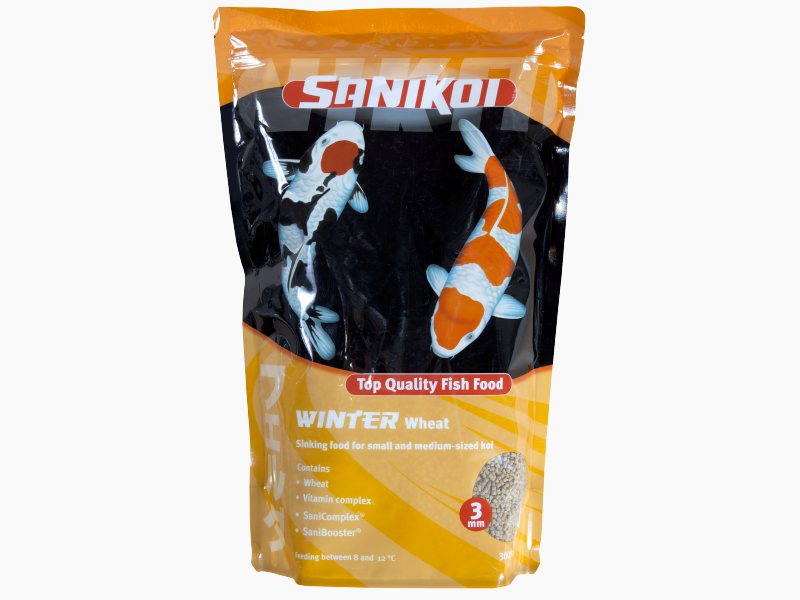 SaniKoi Winter Wheat is a pond feed with reduced energetic value. 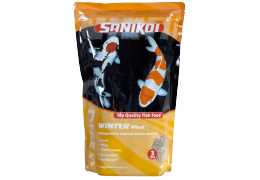 Instructions for use SaniKoi Food is a sinking main feed which is used at water temperatures ranging from 8 to 12 °C. Feed at most once a day an amount of feed which will be consumed within 5 minutes. Owing to its special composition, the feed will not make the water turbid, whereas pond environment and filter will hardly be burdened. 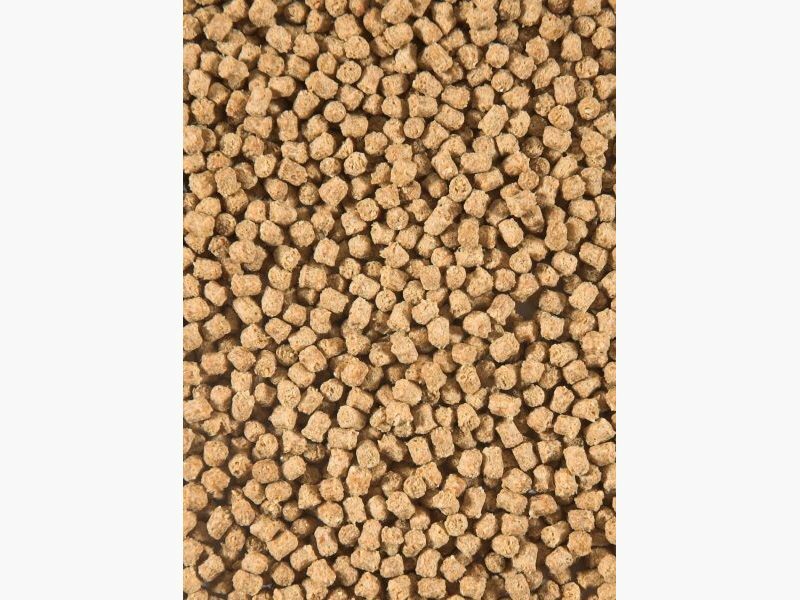 Available in 3 mm, in convenient recloseable upright bags of 3 l.
Complete animal feed for fish. Contains preservatives and antioxidants. Composition: soya dehulled/extracted/toasted, wheat, wheat middlings, maize gluten, fish oil and yeast.